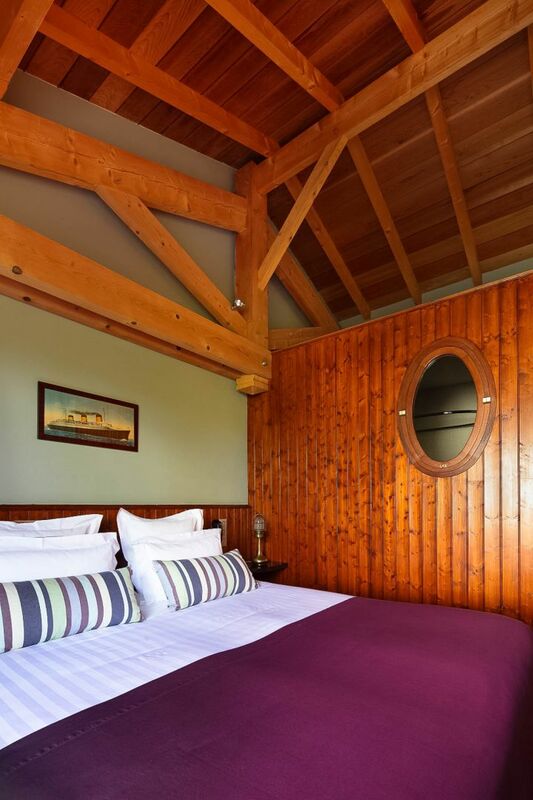 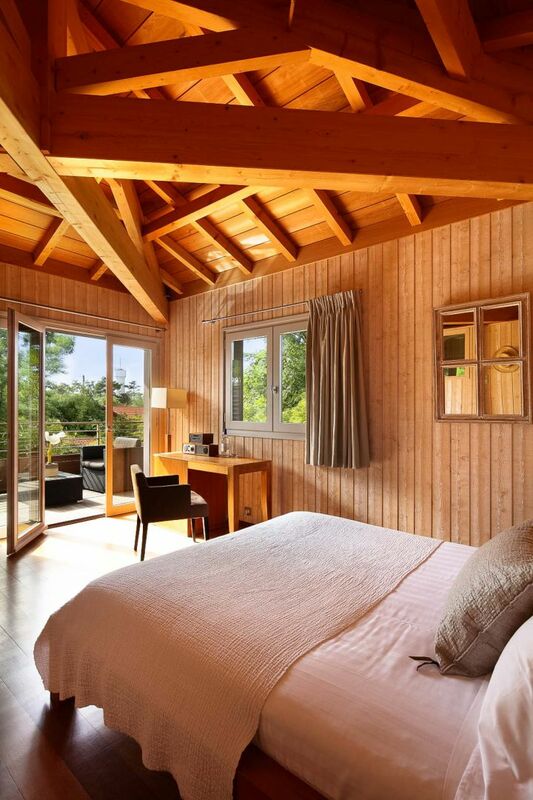 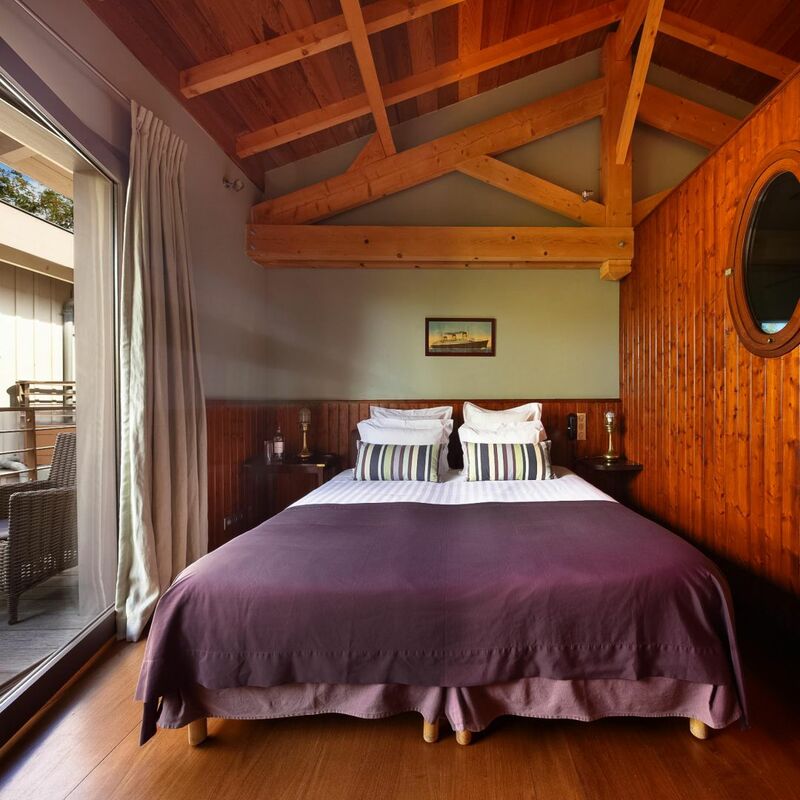 Our cosy rooms from 22 to 25 m², with queen-size double bed, overlook the quiet and wooded garden. 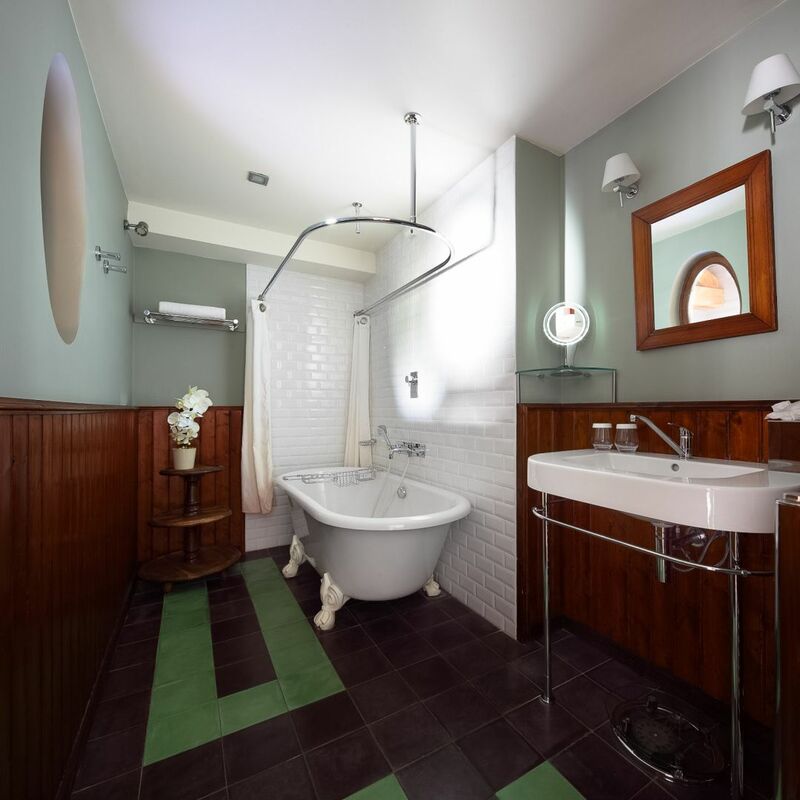 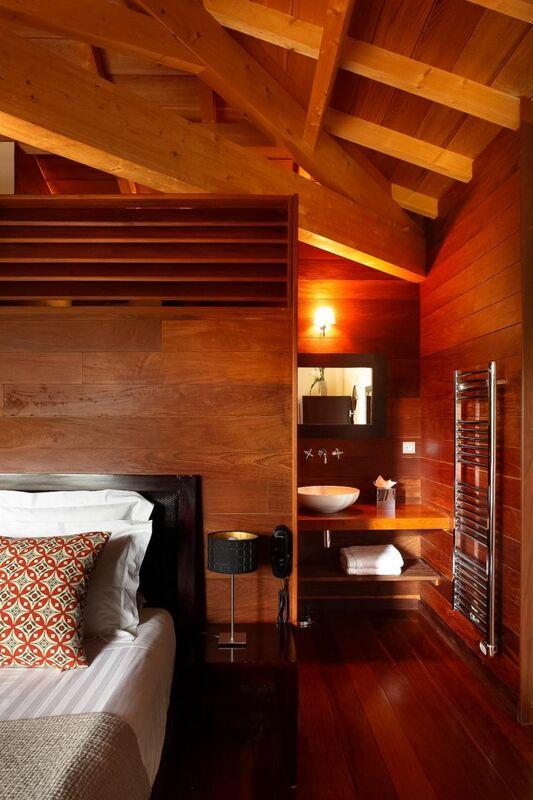 Oscar Wilde Room Arcachon style, decorated in dark woods with a large modern bath and balcony overlooking the garden. 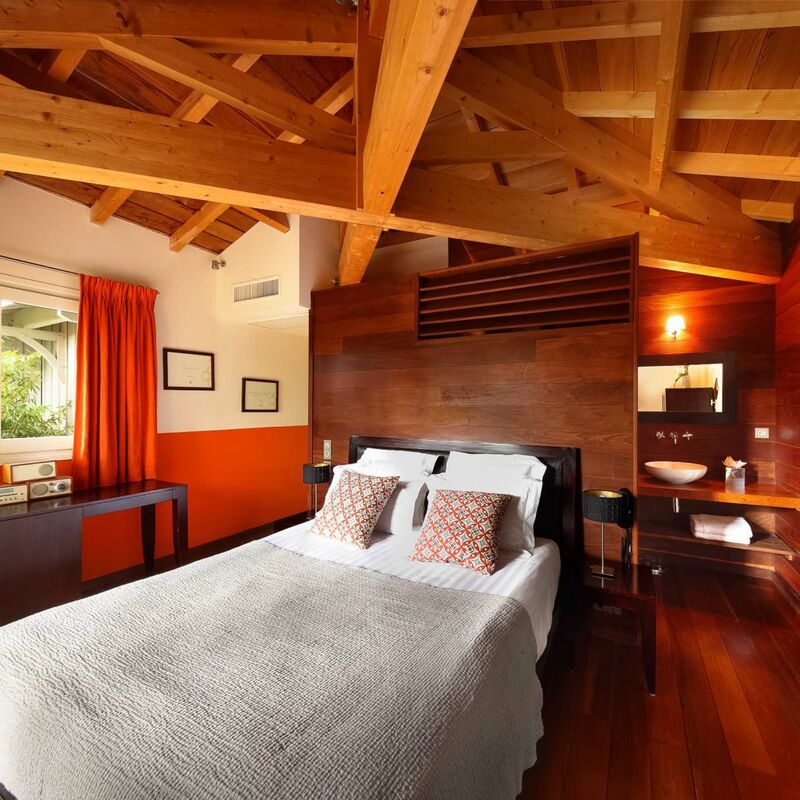 Saint-John Perse Room white and orange tones with dark wood furniture, bathroom with walk-in shower and terrace facing south-west. 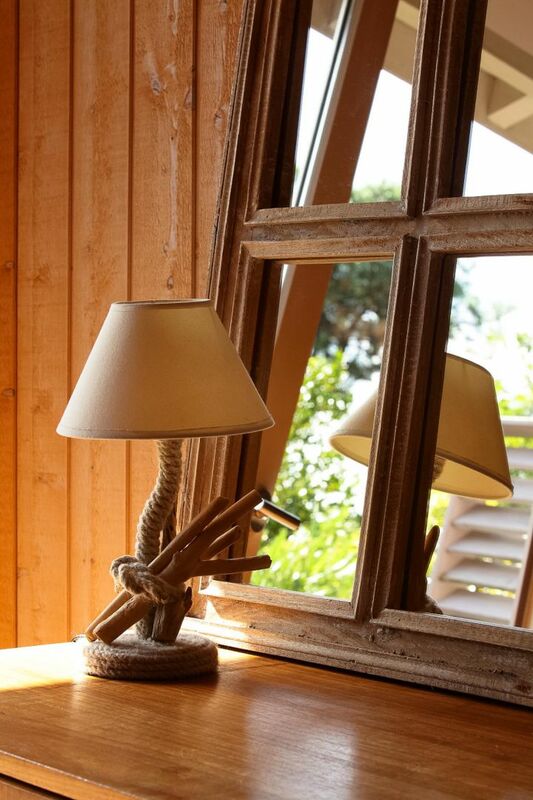 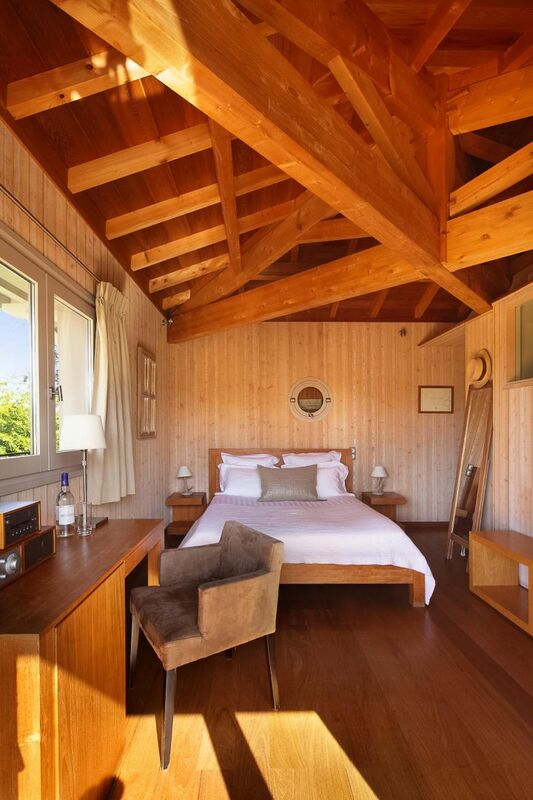 Lao Tzu Room, Cap Ferret style, with exposed beams and light wood furniture, bathroom with walk-in shower and terrace facing south-west.